8 worship songs arranged for clarinet (solo, duet, trio) and with or without piano accompaniment. Favorite Songs of Praise features beautiful and exciting arrangements of popular contemporary Christian worship songs for the clarinet in a way that is fun to play and will be a powerful addition in any house of worship for years to come. 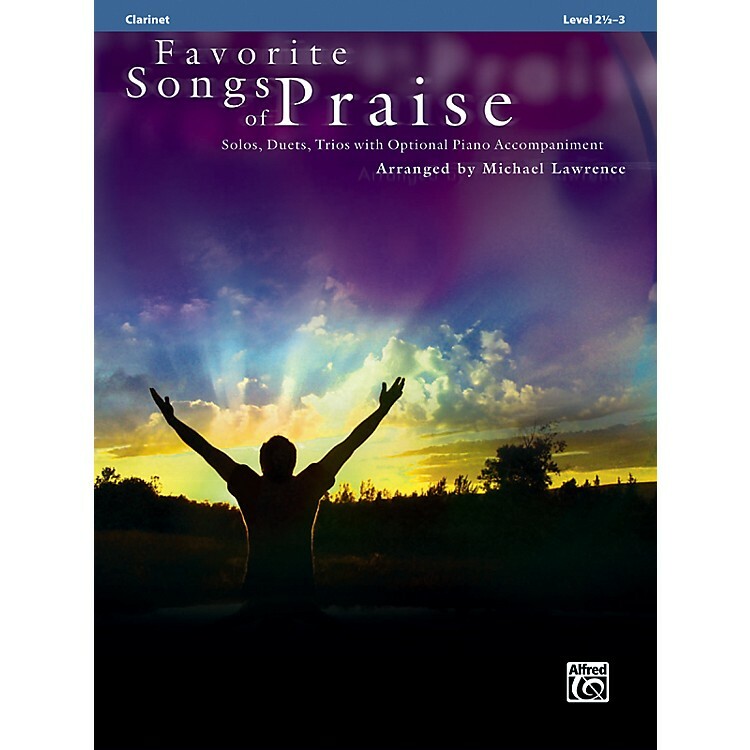 The praise songs can be played as solos, duets, or trios, with or without piano accompaniment. Book includes clarinet parts for these worship songs: "Above All" • "Blessed Be Your Name" • "Come, Now Is the Time to Worship" • "Draw Me Close" • "Here I Am to Worship (Light of the World)" • "How Deep the Father's Love for Us" • "How Great Is Our God" • "I Could Sing of Your Love Forever" • "In Christ Alone (My Hope Is Found)" • "Lord, I Lift Your Name on High" • "My Savior, My God" • "There Is a Redeemer"